The popularity of Instagram is purely due to what makes a photograph special. One frame can speak a 1000 words. 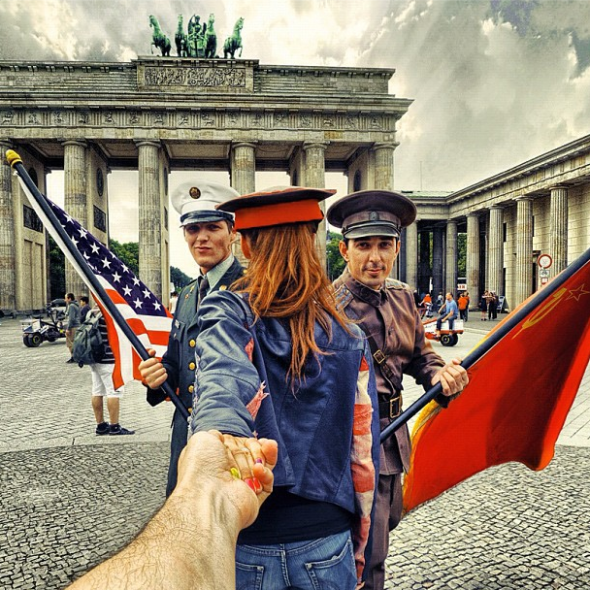 Murad Osmann clearly understands this. His recent venture with his lovely girlfriend has gone viral. With the ease of shooting digitally, Instagram has become a novice and professional playground. Yet it also is opening the creative spirits to worlds far and wide. By the time this article is written, Murad’s fan base could exceed 100,000. His point of view and perspective is dead on. Most of the photographs have you in mind – which is why he professionally produces and directs commercially. Take a gather at his collection from around the world. It’s likely that you will follow me with Murad Osmann.